As Valentine’s Day approaches, sentimental remembrances dominate the shelves, and dealers entice with chocolates, jewels, and lingerie. While modern cards bear little resemblance to the paper confections of long ago, the concept survives, bearing visions of romantic love and blissful marriage. Collectors of valentines and the related memorabilia, however, celebrate their holiday every day, researching and sharing their passion. Displays and articles have brought long-cherished love tokens to new audiences, where they are being appreciated with respect and fascination. Pictures and cards by expert Nancy Rosin. 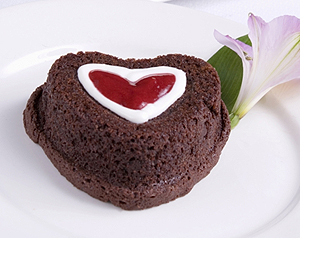 Have a unique “heart” themed menu for Valentine’s Day. The invitations can be written or printed on heart-shaped cards and, if possible, the floral decorations should be red tulips (two lips) to carry through the romantic theme. Find ideas here. “To My Valentine” — craft your own Victorian Valentine from our free download of a 19th century Valentine card. 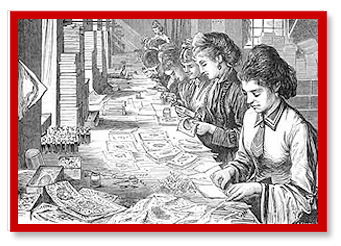 The manufacture of valentines today is the result of a woman’s cleverness and ingenuity in the early part of the 19th century. 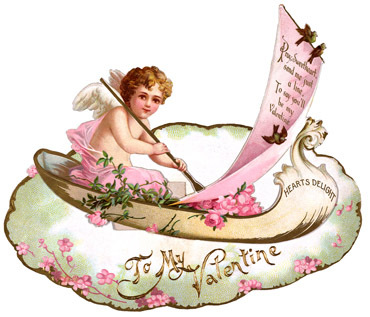 The first fancy valentine ever made in America was the work of Miss Esther A. Howland (1828 – 1904), who in making it not only achieved her fortune, but also established an entirely new industry in America. Read an article about this artist and successful businesswoman written in 1901.